I am grateful that participation in my first trade show was a success. 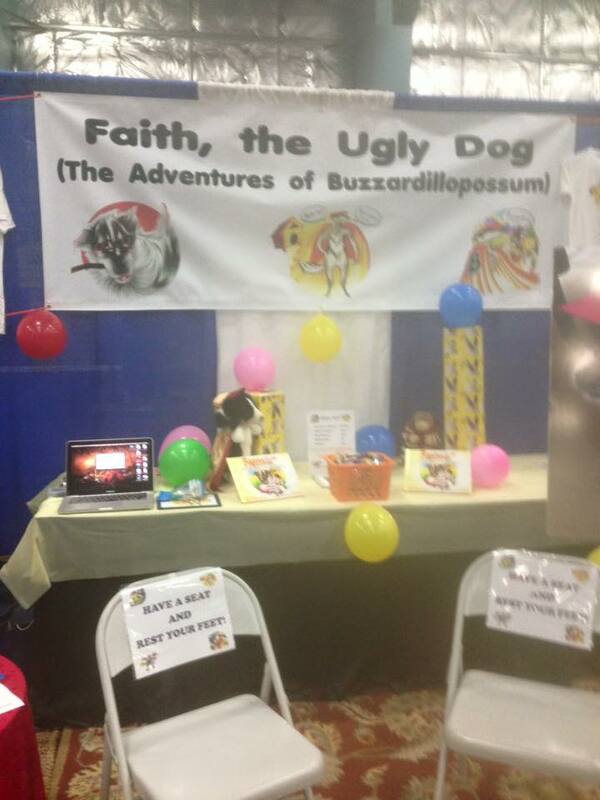 I made a lot of sales and connected with a number of parents and teachers who want to schedule a reading of “Faith, the Ugly Dog” at elementary schools. I’m more excited about the school readings than the sales, since they will allow me to spread Faith’s positive messages to more people. I also made friends with a number of fellow exhibitors with whom I hope to remain connected in the future, including a brilliant PhD and former veterinarian, David R. Gross, who wrote an amazing book about his one-year journey with his dog, Charlize following the death of his wife of 53 years. His hugs are the best and Charlize’s kisses were awesome (I think she liked the turkey bacon snack I gave her). Lastly, the event promoter sought me out to congratulate me on my booth, my contest ideas and my ability to connect with attendees. I shared my ideas with some of the other authors at the show in hopes that my “tips” will work for them in the future. I’m grateful to my sweet hubby and my best friend for being by my side throughout the event. Thank you also to my sweet neighbor for letting me borrow her children’s table and chairs for the coloring contest. I couldn’t have done it without them.